A telconference was held on Friday 17 July where 13 people were in attendance and 4 people were apologies. This group came together after Lyn Maboub sent an email to Douglas Holmes who distributed it to 56 emails that he had collected and placed into a Mailchimp list and sent out 5 enews over 5 weeks. Minutes were kept of the meeting and once they have been agreed to by the people attending the next teleconference in about 6 weeks they will be placed on this Blog. There was concensus by the people who attended the teleconference that we should continue to meet and they thanked Richmond Wellbeing for supporting the teleconference, The group will meet in about 6 weeks to further this work. This image from the end of the 1st Steering Committee meeting on 15/17 April 2016. 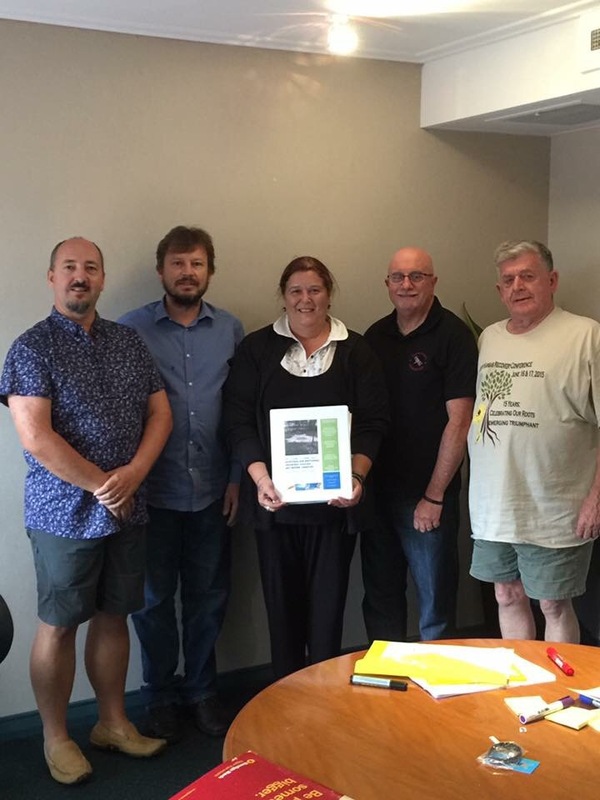 Dave Facer, Glen Healt, Amanda Waegeli, Bruce Roberts and Douglas Holmes.